It is hard to believe that it has been seven years since Sarah McLachlan of Lilith Fair fame (which returns this summer after a run from 1997-1999) has put out a CD with music for her fans. On June 15th, we were finally given a taste of McLachlan’s new CD Laws of Illusion. True to her Canadian roots, the album was recorded in Montreal and Vancouver with Sarah’s longtime collaborator/producer Pierre Marchand. 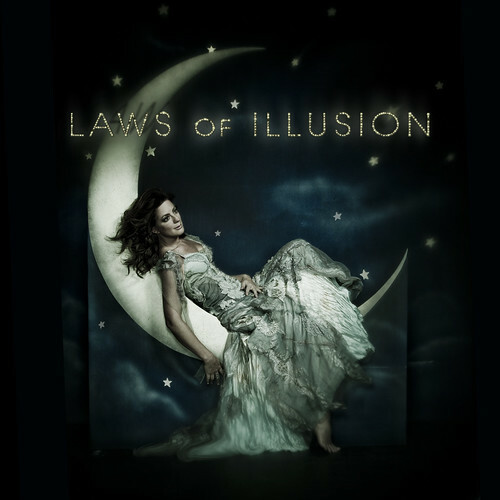 Sarah’s new album Laws of Illusion will be released June 15th just weeks in advance of the kick off to Lilith Fair 2010, the historic all women touring festival, founded by McLachlan. The album’s first single “Loving You is Easy,” is a Top Ten hit at Adult Alternative radio and is available for sale at all digital providers. Check out Sarah candidly talking about the making of the album. New videos will be put up on her site everyday. You can also Follow Sarah on Facebook and Twitter. This year Sarah will be joined by: Colbie Caillat, Mary J. Blige, Sheryl Crow, Erykah Badu, Ke$ha, Norah Jones, Sugarland, Heart, Miranda Lambert, Beth Orton, Brandi Carlile, Cat Power, Chantel Kreviazuk, Corinne Bailey Rae, Emmylou Harris, Gossip, Indigo Girls, Ingrid Michaelson, Jill Scott, Loretta Lynn, Metric, Sara Bareilles, Tegan and Sara and more! As someone who always wished I had been able to get to Lilith Fair, I was so happy to hear that Sarah McLachlan was not only going back on a summer tour, but releasing a new CD. Laws of Illusion did not disappoint. The power house that is McLachlan picked up right where she left off. Her beautiful voice tells a story through the twelve great new songs. One of the items that I really appreciate about Sarah McLachlan is the simplicity of the music. The accompanying instruments do not over power McLachlan so you can pay close attention to her mesmerizing voice and strong lyrics. I truly enjoyed listening to this CD. There is something special about Sarah McLachlan that allows you to drift into a different mind set and temporarily leave your troubles and stresses of the world behind. If I was to pick a favorite song or two I would probably say "Loving You is Easy" and "Bring on The Wonder" because they show the depth of artistry on this compilation. Of course, all twelve tracks really lends their part to this. It really had been too long since the last release from Sarah McLachlan. Have you been to a Lilith Fair and/or will you be going this summer? Let me know so I can be jealous! Disclosure: Thanks to One2One Network, I received a free copy of the CD to facilitate this review. The opinions expressed in the review are my own. .-= RobMonroe´s last blog ..Father’s Day Tribute =-. Ooh! I heart Sarah McLachlan. Thanks for posting the tour dates. I knew the Lilith Fair was on this summer but didn’t know it was coming my way. Maybe I can grab some friends and go. .-= Holly at Tropic of Mom´s last blog ..Somewhere over the rainbow =-.